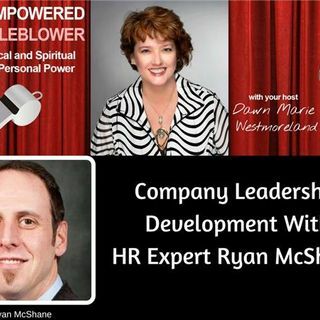 Ryan McShane has been serving the Human Resources Profession for over 20 years and currently operates a consulting firm specializing in Human Resources, Leadership Development and Career Transitions Consulting called HR Evolution LLC. Prior, to that Ryan worked in the public, private and not-for-profit sectors, learning the various cultural norms, principles, and practices of each sector and applying that learning to create High-Performance Leaders and Organizations today throughout Maryland ... See More and Pennsylvania. Ryan is also the immediate past president for the largest Local SHRM Chapter in the state of Maryland, Chesapeake Human Resource Association, (CHRA).Ryan’s professional affiliations include serving on the Board of Chesapeake Human Resource Association (CHRA), Board member and Membership Director of Hunt Valley Business Forum, a founding member of Conscious Capitalism- Central Maryland, a Member of York, PA’s local SHRM chapter, a Member of UMBC’s Instructional Systems Development (ISD) Advisory Board, and a former Member of the Boomer Council, an advisory council focusing on civic engagement and mature workforce strategies.